MAGIC Peer Assistant Applications is closed. 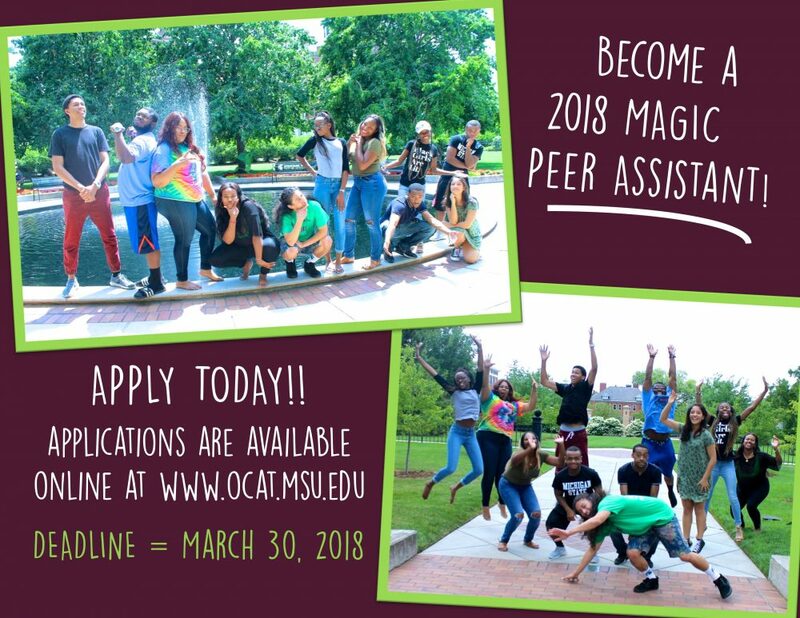 Applications for the 2018 MAGIC Peer Assistant Applications is now closed. What are MAGIC Peer Assistants? MAGIC Peer Assistants are a critical component of the MAGIC program. Peer Assistants assist with the implementation of the various activities during the week-long program, actively participating, facilitating, and interacting with the participants in many of the program’s sessions. They are primarily responsible for the facilitation of daytime and evening activities, for the general supervision of participants during the evening within the residence hall, and for the development of positive rapport with MAGIC participants. APPLICATIONS FOR MAGIC PAs will be available during the spring semester of each academic year.